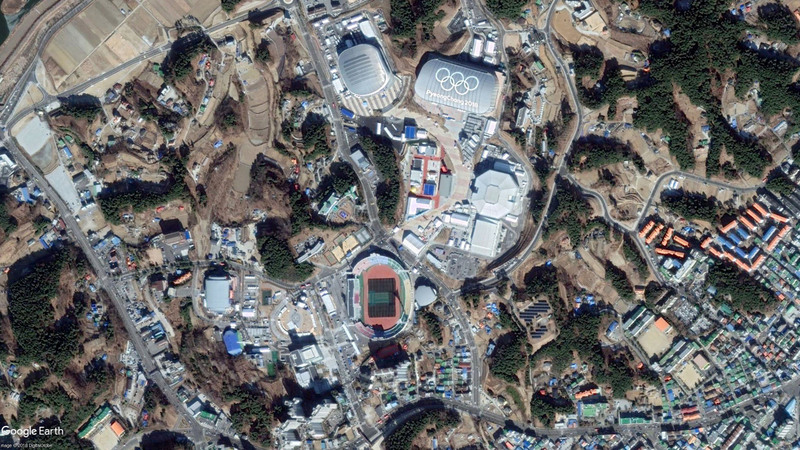 Use the slider to compare the situation before and after the Olympics. Image: PyeongChang 2018 Venue Tour Booklet. Source: Olympic World Library. 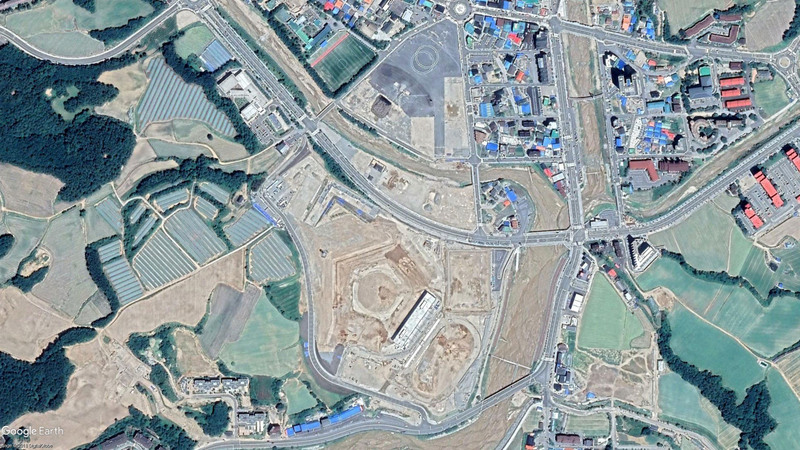 This manual describes the venues of the PyeongChang 2018 Olympic Winter Games. It contains fact sheets and venue maps of the Gangneung coastal cluster and the PyeongChang mountain cluster. 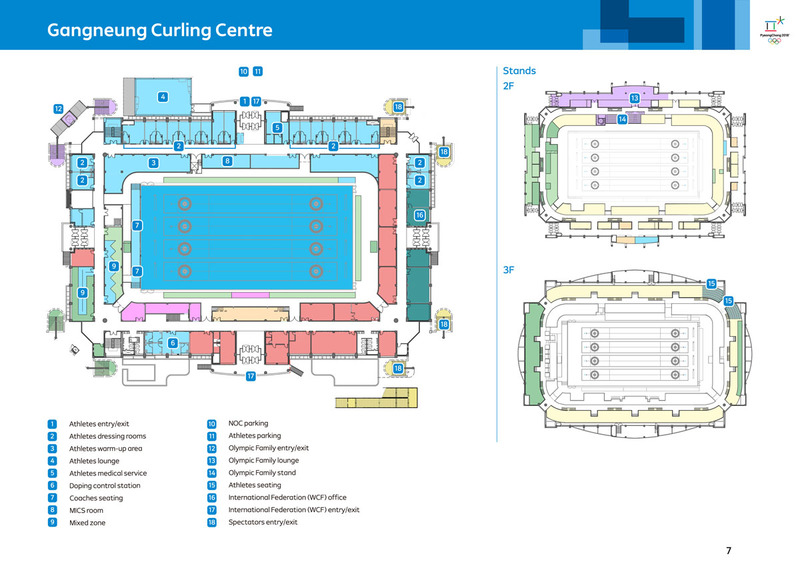 This manual describes the venues of the PyeongChang 2018 Paralympic Winter Games. It contains fact sheets and venue maps of the Gangneung coastal cluster and the PyeongChang mountain cluster. 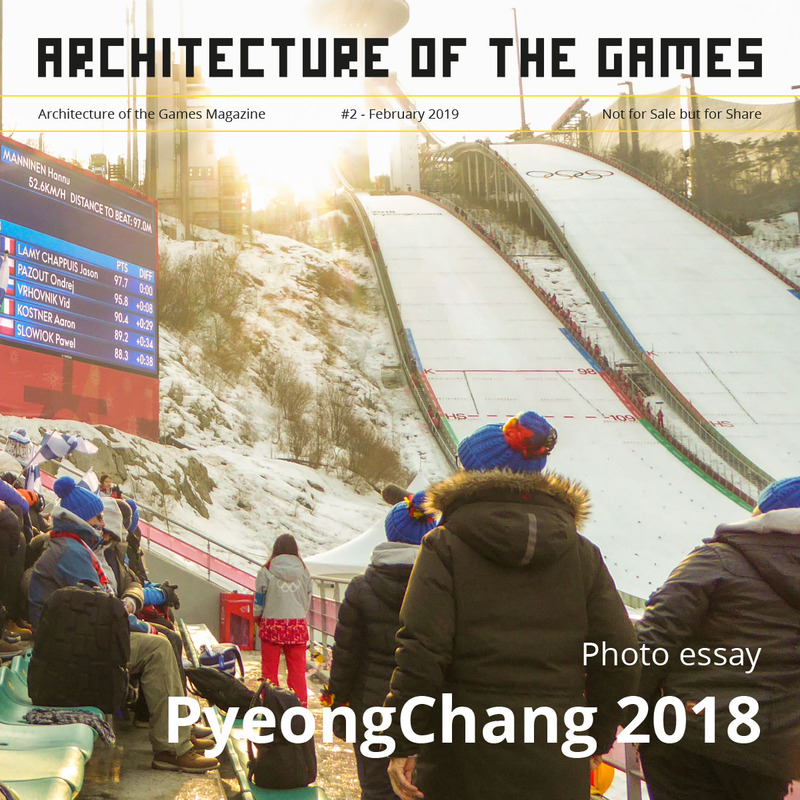 The PyeongChang Organizing Committee for the 2018 Olympic and Paralympic Winter Games (POCOG) has published an article about the legacy of the Games. The PyeongChang 2018 Olympic and Paralympic Winter Games have come to an end, leaving behind a proud and lasting legacy. This momentous event has touched the lives of so many people in different ways, with many unique journeys sure to be told for generations to come. Here are five ways that the games have made a lasting impression and a positive impact on the Republic of Korea and the world. The upgrading of vital infrastructure was one of the many direct benefits to the Republic of Korea as a result of hosting the Games. A fit-for-purpose traffic network is essential for the smooth operation of the Olympic and Paralympic Games. 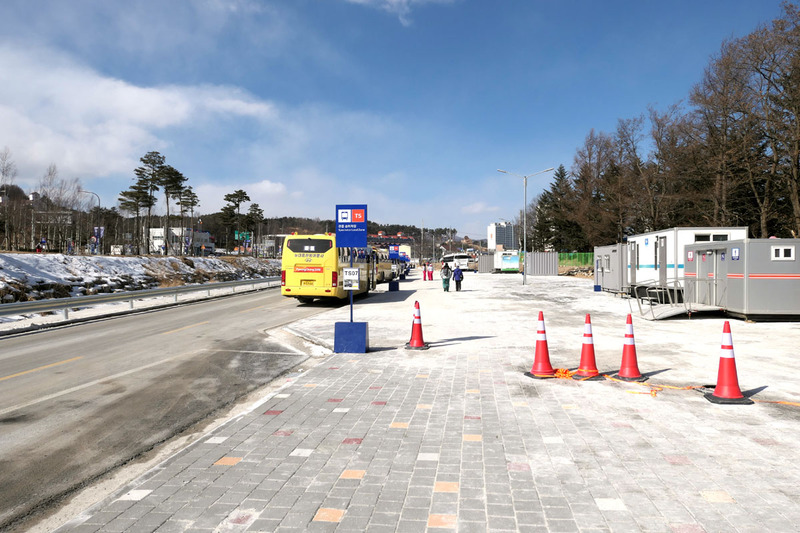 In 2018 it was no different; to help bring athletes, spectators (and a large number of staff) to PyeongChang from all over the world, road and rail networks were upgraded in the host nation. As a result of this investment, visitors were able to move to Gangwon-do faster and more conveniently than before. The key features of this development were the Second Yeongdong Expressway (opened 10 November, 2016), the Dongseo Expressway (opened 30 June, 2017) and the Gyeonggang Line High-Speed Railway (opened 22 December, 2017). These trunk roads and rail upgrade connected the capital area to the host city. 56.6 kilometres of road were also constructed in 16 sections at major key points in the hosting city. Three cities and counties and 13 districts were also designated as special zones under the Special Act on Support for the 2018 Pyeongchang Olympic and Paralympic Winter Games. The apartments that were used as the Olympic Village and Media Village during the Games have now been completely sold to the local residents. People will move right in to the eight apartment blocks for 600 households in the PyeongChang Olympic Village, nine apartment blocks for 922 households in Gangneung Olympic Village and23 apartment blocks for 2,561 households in Gangneung Media Village as soon as the restoration works are completed. There are also refinement projects for the surrounding scenery currently taking place. As well as constructing symbolic sculptures for the Olympic Games, flags of all nations were installed around major routes, old facilities have been modified and public restrooms were improved. Amenities have been established to enhance accessibility for people with impairment. This is to turn the city into a tourist city where all tourists can stay comfortably. The outline for the post-utilisation plan of the Games facilities are now almost in shape. The Games venues will be utilised as public sports facility or serve as training centres for the athletes from home and abroad under the agreement between the city of Gangneung, Korea National Sport University and the Catholic Kwandong University in support of the popularisation of winter sports. 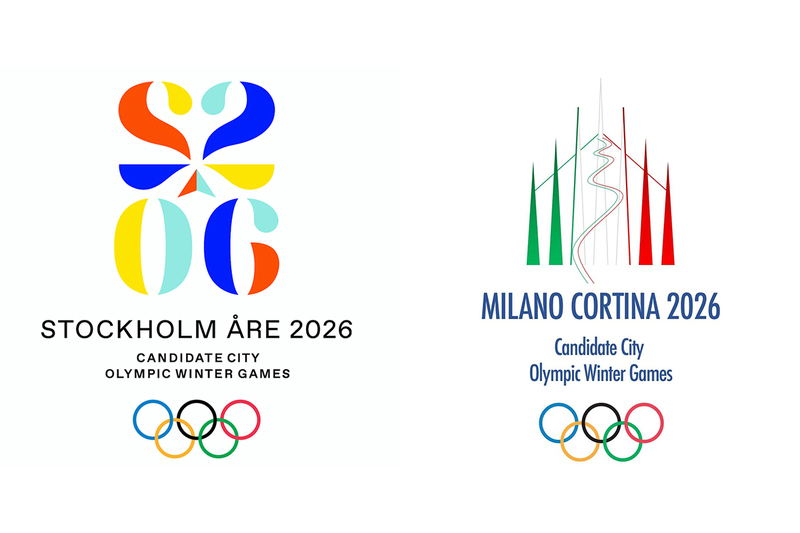 There was also a notable effort to try make an eco-friendly Olympic and Paralympic Games. First, a new wind generating farm was built in order to provide eco-friendly energy during the Games. Korean Electric Power Corporation (KEPCO) supplied 150 electric cars in Gangneung, Jeongseon and PyeongChang. This facilitated the transport of Games management staff back and forth between operational centres and venues. 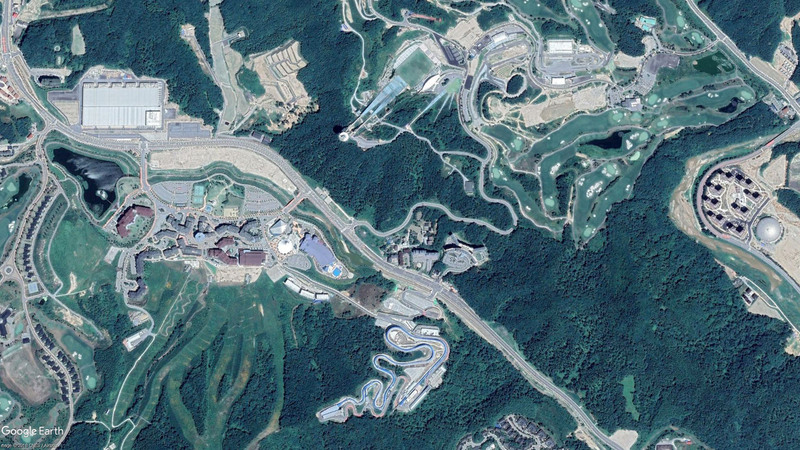 PyeongChang and Taebaek of Gangwon-do province. In particular, a total of 41.8 billion Korean Won will be spent to restore the ecological system around the Jeongseon Alpine Centre. The Ministry of Culture, Sports and Tourism and the Korean Olympic Committee (KOC) are to join hands and shell out 93.9 billion Korean Won to build training environments and support outstanding athletes in order to promote winter sports development projects in Korea. The ‘Dream Programme’ that has been held 14 times since 2004 to 2017, played a huge role in introducing unfamiliar winter sports to the youth in Korea. The Paralympic Winter Games, in particular, has drawn the attention of many into fostering outstanding athletes for the winter para-sports. Through such efforts, Korea was able to recruit excellent coaches from overseas and fund new equipment, hence improving people’s understanding towards people with impairment and the Paralympic Games. 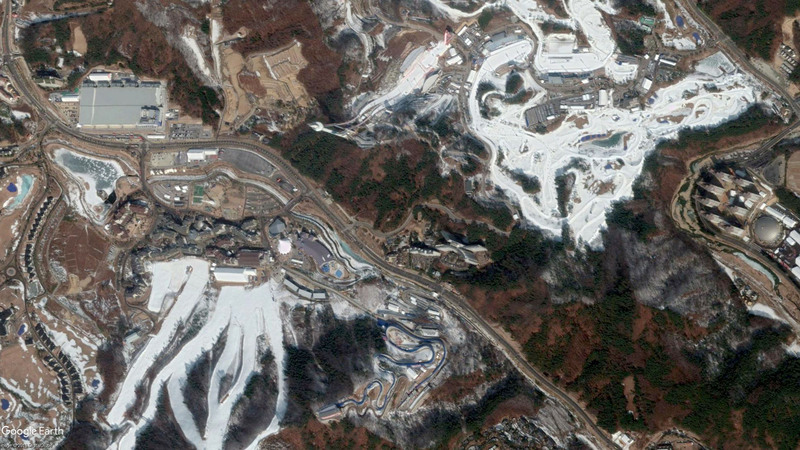 No doubt, Korea has gained a foothold to grow into a new winter para-sports powerhouse. Olympic education programmes have been run across all schools nationwide. This programme, run by the PyeongChang Organizing Committee for the 2018 Olympic and Paralympic Winter Games (POCOG), was arranged to broaden career choices for the youngsters by providing proper understanding and recognition of the Olympic and Paralympic winter sports. The ‘Cultural Olympiad’, where festivals were held every day, served as an opportunity to showcase various cultures of Korea to the world. The Cultural ICT Experience Zone, interact with, Live Sites where spectators could watch the competitions through big screens all managed to make PyeongChang 2018 a culture-rich festival. We cannot leave out the passionate volunteers that helped during the Games. 13,503 volunteers for the Olympic Games and 6,886 volunteers for the Paralympic Games have gathered and they were the great foundation that allowed the successful hosting of the Games. The POCOG, along with the Korean Food Foundation, came up with the ‘The Top Ten Most Favoured Korean Foods Menu Around the World’. The menus received positive reviews that they conveyed the characteristics of Korean food while at the same time applying the newest trend to make Korean food culture more popular. One of the most memorable issues at PyeongChang 2018 was the participation of the Democratic People’s Republic of Korea (DPRK) at the Olympic and Paralympic Games. Even before the Games started, POCOG, Gangwon-do Provincial Office and the International Olympic Committee (IOC) constantly called for the DPRK to participate in the Games. They were finally able to come to an agreement on the joint parade of the athletes from North and South Korea and the formation of Joint Korean Women’s Ice Hockey team. The Games did not only bring a message of peace from the Korean Peninsula, it was also a milestone in improving the relationship between the two Koreas. Olympic Truce Murals with autographs of athletes and officials who support the principles of the Olympic Truce were also installed at the Olympic Villages in PyeongChang and Gangneung. These murals will be relocated in the host city after the Games to be preserved as the symbol of the ‘Peace Olympics’ and can be visited by tourists. The PyeongChang 2018 was the ever-first Games to introduce high-tech ICT technologies, such as providing 5G services during the Games. The most notable utilisation of 5G services was at the broadcasting sites. The movement of the athletes were shot from various angles and then produced as 360 degree footage to help the viewers to best understand the athletes’ performances and judges’ scores. Applications that provide ‘Augmented Reality (AR)’ and automatic translation services in eight major languages were also available throughout the games. Altogether 85 robots across 11 different models were used to provide spectator guides, assist with clean-ups, as well as being used for the Torch Relay. Last month, the Chaebang River in Daegwanryong-myeon was flooded after heavy rainfall. 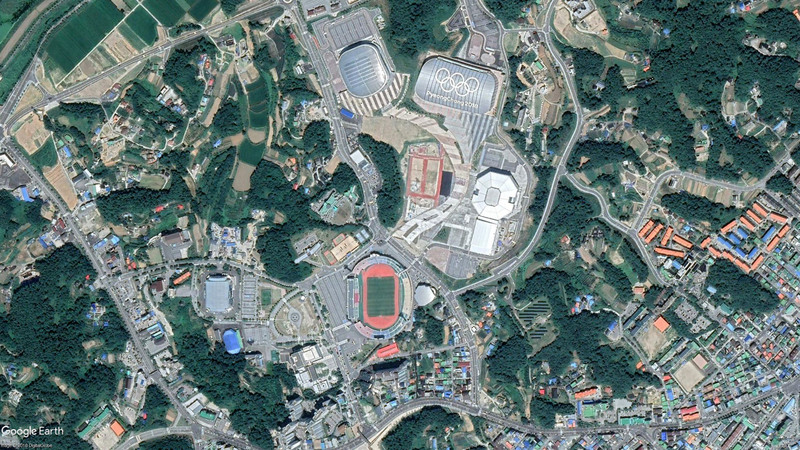 In Daegwanryong-myeon the PyeongChang Olympic Plaza, Medal Plaza and the Olympic Stadium were situated. 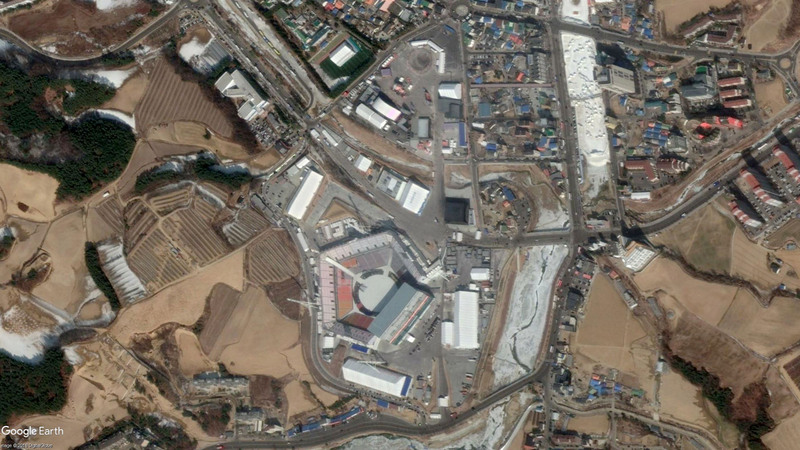 According to Yonhap News Agency, the flooding was caused by facilities built for the Olympics in the riverbed (probably a bus stop for shuttle buses). Because of the blockade, the passage for the river was too narrow, which resulted in the flooding. About 60 households were affected by the flood. The IOC has pledged $150,000 in aid.